In the process of getting our home ready to sell, my real estate agent told me all I needed to do to the master bath was get a new shower curtain. Really, that's all? No new tile? Sold! But I am cheap, and cute shower curtains are expensive. The one we had was plain white. Boring, but functional. But then my crafty mother-in-law suggested I make one out of a bed sheet. She is a genius! One cute flat sheet is way cheaper than a cute shower curtain. Even cheaper? Using one you already have! Remember this bed spread from my "before" simple master bedroom makeover? I still have it. And it matches my bathroom perfectly. 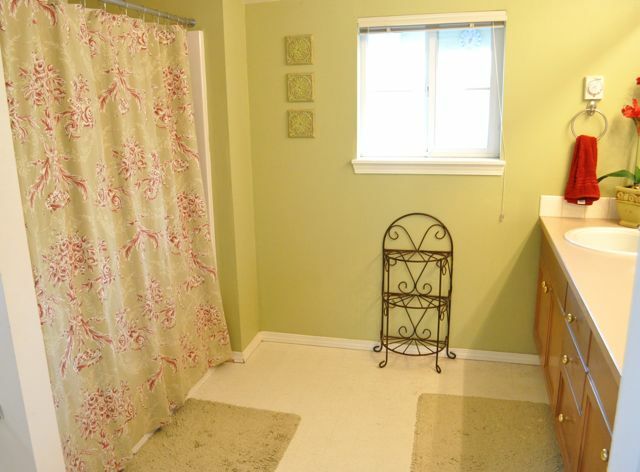 . .
And the "after", made simple by a new shower curtain and some new towels. 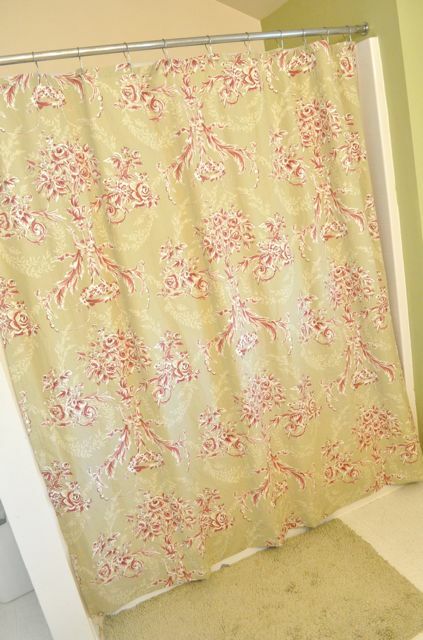 To see my full tutorial on how to make a shower curtain out of a bed sheet, check out my post over at Make and Takes today! You won't believe how easy it is! Brilliant! On my Pinterest board!! you are kidding. you creative minds make me smile! this is awesommmme!!! You don't need to move now, that bathroom is gorgeous!